GroGuru offers, as part of its field solutions, a pressure transducer, which can be used in an irrigation system to check for blocks and/or leakages in the system, and can also monitor when the irrigation system is on. Once you put the batteries in, watch for a light next to the reset button to blink. If it does not blink, press the reset button, observe the LED for 10 seconds, and when the LED blinks, it indicates that the system is functional and ready for the field. Make sure the sensor wires are in the slot, and re-install the cover, making sure to screw the cover back on. Do not over-torque the screws. When you feel them stop, stop twisting. Gather all of the supplies you will need, and begin by digging a hole about 3 feet deep. First, you will make two marks on your pole, making sure that you measure from the edge of the coupling in, one mark at around 30 inches and one at about 32 inches. This will be where you will drill two large holes for the wiring to flow through. Once the holes are drilled, you can start to feed the sensors through the pole to the hole you created. Pull the wiring through until all but about 6 to 8 inches is inside the pole. Leave out enough wiring so it is easy for you to pull out and change the batteries when necessary. 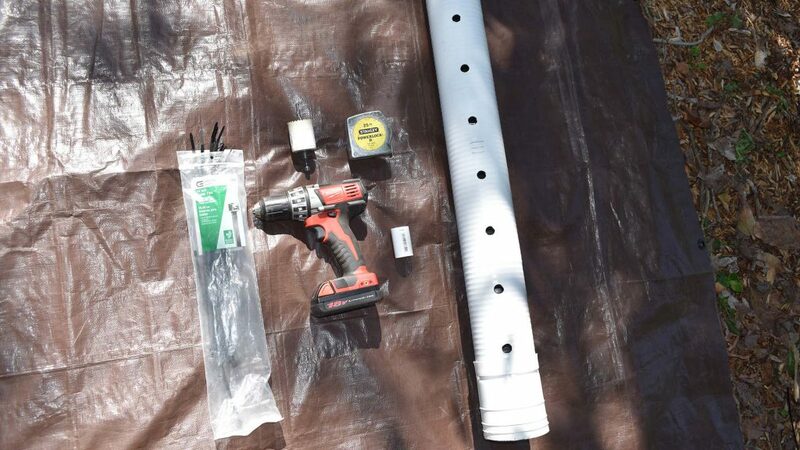 For additional support, you’re going to measure and mark past where the entire unit will fit inside, and then add a piece of a PVC pipe to that area, securing it on both sides with zip-ties. This will insure that your sensor does not slip down any farther than it needs to. Place the pole into your hole about 3 feet deep, leaving about 7 feet sticking out. Then you will want to dig another hole about 12 to 18 inches away from your first hole. 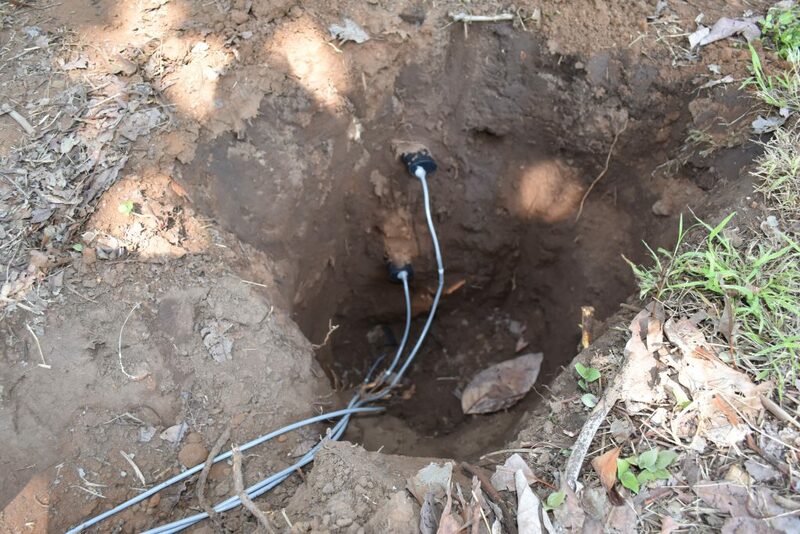 After the holes are dug, you’re going to push your sensors into the sidewall of the soil if possible, at three different depths. Make sure the labeled sensors number 1, 2 and 3 are installed with number 3 in the deepest position, number 2 in the intermediate position, and number 1 in the most shallow position. If the deepest sensor cannot go into the sidewall, you can simply bury it at the bottom of the hole. Place the sensor unit into the top of the post, and place the cap on. Alternatively, you can see in the video clip how you can also install the system onto a simple wooden post with zip-ties. This method, while not as rodent and weather protected, still works well for installation. Once the system is secure in the ground, simply cover it with dirt. 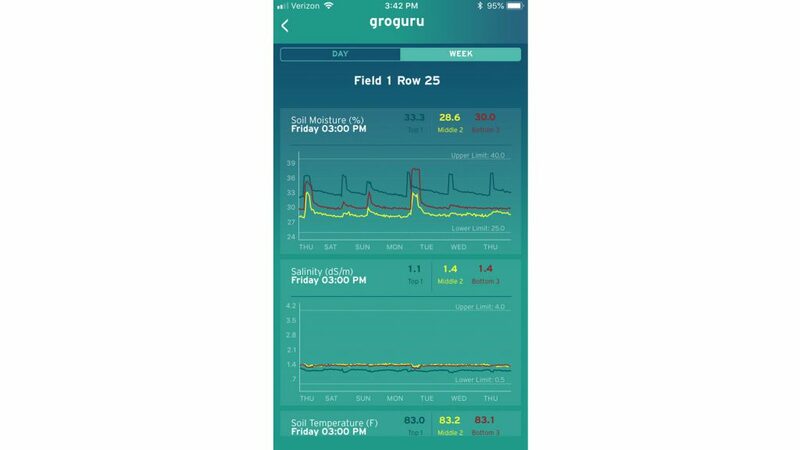 If you have already added your new farm in the GroGuru mobile app, you will begin to receive data from your new in-ground monitoring system within hours!